Nothing ruins a good party as quickly as food that's gone cold -- not even that one guy who keeps yelling requests for "Free Bird". 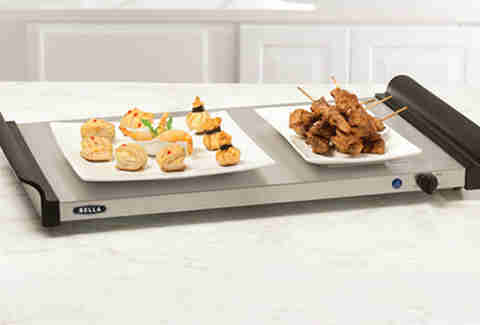 Providing a stylish and practical solution to this problem is the Triple Buffet Server and Warming Tray by Bella. 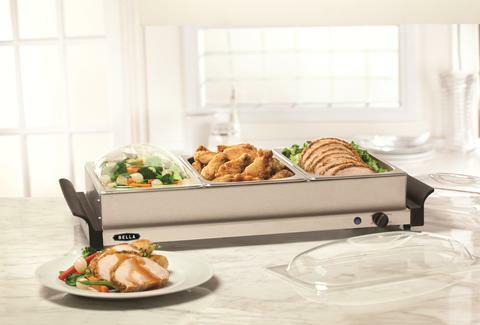 Featuring three removable 2 1/2 quart chafing dishes, variable heating controls, Cool-touch handles, and a base that can be used as a stand alone warming tray with a 300 watt power source, this handy appliance is sure to keep your food warm and your guests (yes, even Mr. Free Bird) happy.